Sherry E. Michael, 70 years, of Sarasota, Florida and formerly of Bryan, passed away Tuesday, September 18, 2018 in her residence after a lengthy illness. 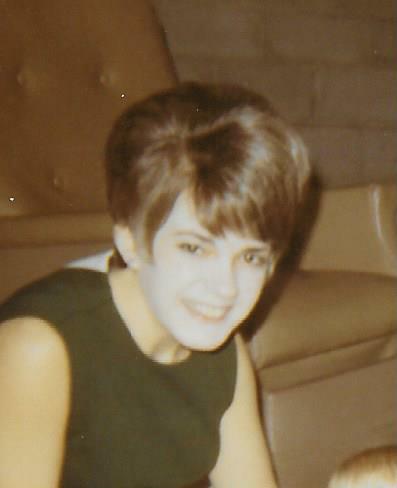 Sherry was born April 30, 1948 in Defiance, Ohio, the daughter of the late Guy Edwin and Carlin Garcia (Hoffman) Brown. She was a 1966 graduate of Bryan High School. Sherry married Jon Michael on March 24, 1973 in Bryan at Wesley United Methodist Church. Sherry worked as a secretary at Four County Joint Vocational School. She then worked for Judge Wilson in the Williams County Common Pleas Court. She also assisted her husband Jon at his Insurance Agency as a Secretary/Bookkeeper, retiring in 2013. Sherry was a satellite member of Beta Sigma Phi Sorority. She loved to read, the Bible as well as books written by Sylvia Browne. She loved to spend time with her family making memories. Surviving is her husband, Jon of Sarasota, Florida; one daughter, Robbin J. (James) Culbertson of Newark, Ohio; daughter-in-law, Karen Michael of Waldron, Michigan; five grandchildren, Branden Michael, Tiffaney Michael, Zeena Culbertson, Ronnie Copeland and Elizabeth Culbertson; two great-granddaughters, Cadence Mitchell and Raelynn Ames; one sister, Velvet (A. Michael) Feyes of Bryan; two nephews, Matt (Tamara) Grube of Bryan and Dan (Kathy Khandaker) Grube of Bryan as well as numerous great nieces and nephews that she loved spending time with. She was preceded in death by her son, David Michael on May 6, 2018. Visitation for Sherry E. Michael will be held Monday, September 24, 2018 from 4:00 – 8:00 p.m. in the Oberlin-Turnbull Funeral Home, Greenisen Chapel, 225 East High Street, Bryan. Funeral Services will be held at 10:30 a.m. Tuesday, September 25, 2018 in the funeral home with Pastor Dean Phillips officiating. Interment will follow in Brown Cemetery, Bryan. In lieu of flowers, the family has requested that those planning an expression of sympathy are asked to consider memorial contributions be made to Brown Cemetery Beautification Fund or to the charity of the donor’s choice.